Patellar failure after TKA is often multifactorial. A careful assessment of patient factors, implant design and surgical technique must be performed. If there are major problems with implant design or component positioning, revision of the entire arthroplasty may be necessary to correct the patellar failure and ensure a durable result. 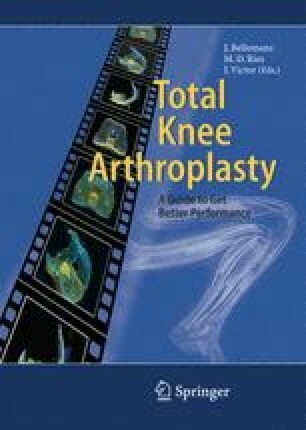 Isolated revision of the patellofemoral joint for any reason must be approached cautiously, as a high failure rate is often encountered.